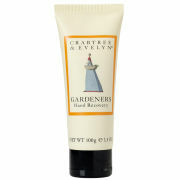 Improve your skin’s barrier function and reduce moisture loss with Crabtree & Evelyn Lavender Hand Therapy. 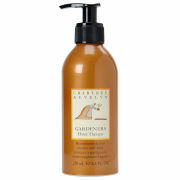 Delivering extraordinary softness and hydration for dry hands, your skin will never have felt so good. 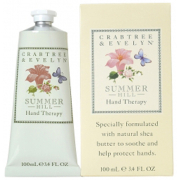 Crabtree & Evelyn Lavender Hand Therapy helps condition nails and cuticles and improve moisture retention leaving your hands feeling soft, supple and radiant. Free of parabens, lauryl sulfates, mineral oil, and propylene glycol, and scented with pure, clean and refreshing lavender, this hand therapy will not only leave your hands smelling divine, but they will be left silky soft too. Apply to clean dry hands. Work from the fingertips to the wrists, using light massage movements especially around the cuticles.